Specialty foods, whether gourmet, organic or all natural are the rage these days. Formerly available only through farmers’ markets or specialty foods stores, premium fares have gained far-reaching acceptance. Consumers only have to go to the local chain grocery and drug store to find their daily fix. 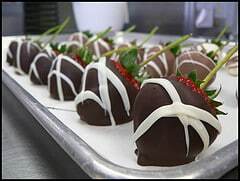 The market for gourmet foods and beverages is currently valued at over $42 billion and is expected to exceed $62 billion by 2009.1 Americans might not need premium treats, but we surely want them and want them daily. Concerned with the high saturated fat and sugar content for decades, consumers have set aside premium chocolates for the most special occasions. Recent research has revealed the potential health benefits of chocolate to the public. More and more people are embracing chocolates, some are even incorporating higher-quality treats into their daily routines. As a result, the premium chocolate market grew at an annual rate of 10.5% during the period between 2001 and 2005 compared to a paltry 1.8% of the overall chocolate candy sales.2 Premium chocolate is far and away the most exciting category in the confectionery segment. Among the adult population, surveys show some overlapping with the general gourmet food industry.5 A few consumer groups stand out: young adults (18-34 years old), the affluent (with household earnings of at least $100,000), women, and Asians.1 However, differences between segments are often small. Indulgences have become dear to the old and the young, low-and-high-income earners alike. Like most things that were once limited to only the wealthiest customers, premium chocolates have gone mainstream. With margins tightening elsewhere in the confectionery segment, top-flight chocolates have become an increasingly important part of manufacturers’ portfolios.5 As such, more and more mainstream marketers seek to move up-market, either through launching their own premium lines or by acquiring small, yet established producers. Their presence, albeit still in the minority, can only lead to an even more dynamic and exciting industry. The market as a whole has seen great strides in distribution reach. Once exclusively available at specialty & boutique shops, premium chocolate now generates 40% of total sales through food, drug, and mass channels.15 A large part of the expansion is due to the mainstream player’s existing retail network and advertising muscle. One cannot ignore the exceptional branding and marketing done by others to make gourmet chocolate the ever-emerging phenomenon it is today. As newly-released data indicates the level of concerns about serving foods that contain sugar to be the highest since 1994. The once-labeled “health fad” is not going away anytime soon.6 Hence consumption of chocolate, a product high in both fat and sugar, can hardly be considered guilt-free. Manufacturers have reacted by creating added value in the form of vitamins and healthy ingredients. The Hershey Company unveiled Whole Bean Chocolate which contains 7 grams of fiber in each serving.7 This product is a part of the company’s antioxidants-rich Goodness Chocolate portfolio, meant to be enjoyed in moderation as part of an active and healthy lifestyle. In comparison, milk chocolate features as little as 10 percent cocoa, and its milk content has been shown to dilute potential health benefits of antioxidants.10 Yet, consumers have not turned their backs on milk chocolate. Recent consumer research by Mintel uncovered an indifference between milk and dark among premium chocolate lovers.1 For all the positive press heaved upon dark chocolate, there might be a big untapped market where companies would gain from positioning their milk chocolates as premium. Manufacturers are also going beyond the basic flavor notes to satisfy customers who seek exotic fares. Vosges Haut-Chocolat’s Barcelona Bar, for example, lists hickory-smoked almonds and fleur-de-sel gray sea salt among its ingredients.11 Products touting honey, chai tea, goji berries and pumpkin seed flavors are already on the market. Ice wine, goat cheese, olive oil, and malt are soon to come. The world of chocolate has witnessed many other exciting trends. Thanks to the ever growing organic foods craze, consumers’ awareness has increased. Chocolatiers are becoming more ethically concerned about how and where certain goods are made. Single bean, or origin chocolate, and Fair Trade-certified bars have developed quite a following. Artisan chocolates, with their exclusive hand-crafted products, limited versions and endless flavor experiments have their own appeal. 1 Covino, Renee M. “Primed for Premium.” Confectioner. May 2007. 2 Echeandia, James. “Candy Review.” Confectioner. May 2007. 3 “Dark Chocolate.” Confectioner. Mar. 2007. 4 Roberts, Jr., William A. “Confouding Confections.” Prepared Foods. July 2005. 5 Moran, Michelle. “Chocolate: Quality Satisfies American Sweet Tooth.” Gourmet Retailer. 01 May 2006. 7 Boggs, Rosemary. “Better-for-You Snacks Hit Stores.” Arkansas Democrat- Gazette. April 2007, sec. FOOD. 9 Miller, Madelyn. “Lindt Perfects World’s Purest Chocolate Bar.” TravelLady Magazine. 25 July 2007. 10 Vince, Gaia. “Dark Chocolate Boosts Antioxidant Levels.” NewScientist.Com. 27 Aug. 2003. 26 July 2007. 11 Pilato, Donna. “Sweet News in Chocolate From the 2005 New York Fancy Food Show.” About.Com. 26 July 2007. 12 “Taking Giant Steps.” Confectioner. May 2007. 13 McLaughlin, Katy. “Chocolate (User’s Manual Enclosed).” The Wall Street Journal. 10 Feb. 2007. 14 “Chocolate: Belly Up to the Bar.” Business Week. 8 May 2006. 15 “A Higher Chocolate Premium.” Confectioner. Oct. 2005. 16 Thompson, Stephanie. “Reservations About Reserve Haunt Hershey.” Advertising Age. 78 (2007).